The Race of Foldable phone is not new, Samsung being the pioneer of announcing foldable phone first announced Galaxy Fold. However this Marathon is joint by Huawei with giving tough competition to its rival by introducing the rollable phone, Huawei Mate X. Huawei Mate X was announced at MWC 2019 in Barcelona. 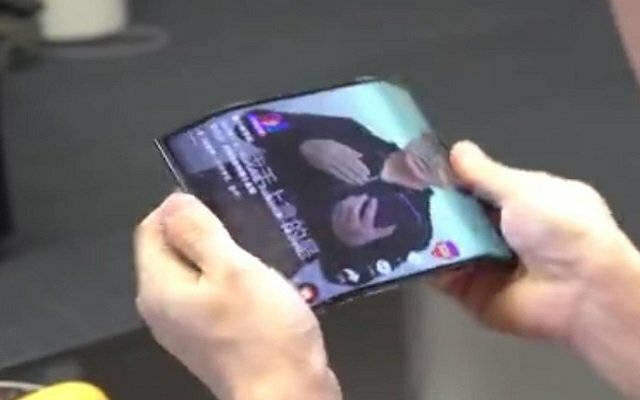 W already had an idea that other tech giants like Oppo, LG and Xiaomi are also working on their foldable line. Just a week back we came to know that the battle of Foldable phone is joint by Apple who will launch it with more perfection. However recently Xiaomi Double FOlding Phone Video is surfacing on the internet that reveals that we are going to witness something very big. The new video of Xiaomi’s foldable phone is short. It features a cup of instant noodles. The overall video is based on the back gesture which shows that the device is handy when in tablet mode. The video also showcases the quick transformation of the double folding screen in Tablet mode to phone size. The device is almost the same as leaks we got previously. Xiaomi foldable device doesn’t fold totally closed instead it folds backwards and has two creases. It seems that the display might have a 3:2 aspect ratio. There is a power button on the best of the device when held in portrait orientation. As the screen is folded back, the whole display still stays on. It is not clear how the Chinese company will choose to price the smartphone. However, Xiaomi has committed to a maximum profit margin of 5% on its smartphones, which suggests that its device would be cheaper than Samsung as it’s offering could cost nearly $2,000. There is a power button on the best of the device when held in portrait orientation. As the screen is folded back, the whole display still stays on.